Hounded Back to the Blog. It has been some time since my last blog post and a lot has happened in my role as an artistic director and writer. During the summer I took the opportunity to take on my artistic endeavours full time, leaving my role in industry to focus my mind on developing new theatre and poetry. I have been part time Joint artistic Director with Fired Up Theatre since our performance of Quadrophenia in 2013, my role is to develop Literature, through new writing, workshops creating the production on the page which is then transferred to the stage by my fellow artistic director Simon Quinn. In reality Simon and I share the writing and the transfer to the stage, working with the company of actors to create outside of the box productions that we hope both delight and challenge our audiences. 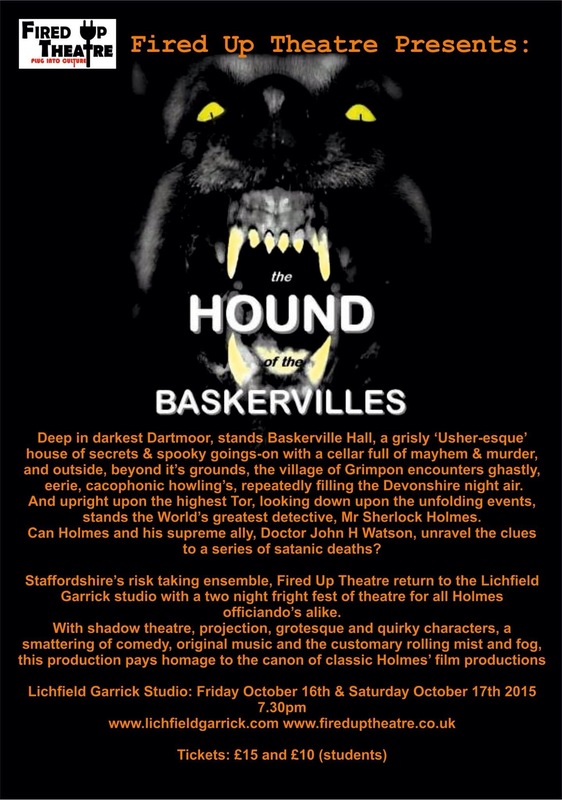 Our current productions include a new interpretation of Sir Arthur Conan Doyle’s Hound of the Baskervilles, paying homage to the Basil Rathbone Sherlock Holmes films of the 1930’s , with comedy, tragedy, projections, live action and shadow theatre. This brand new script brings new twists and perils to the stage. 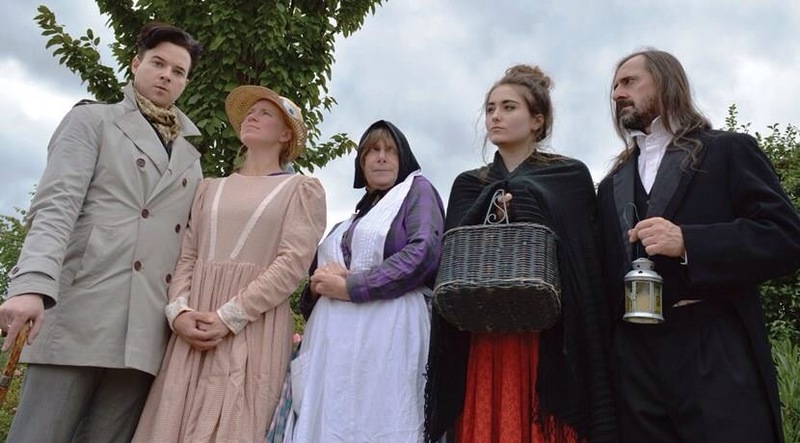 The production is at the Lichfield Garrick Studio on Friday and Saturday 16th/17th October. Some of the cast of Fired Up Theatre’s Hound of the Baskervilles suspects all.